The month of July 2016 has taken the entire gaming fraternity to a new high altogether. Yes, I’m talking about that one augmented reality game that has stormed the world by its popularity in just couple of weeks. You guessed it right! I am talking about Pokémon Go! 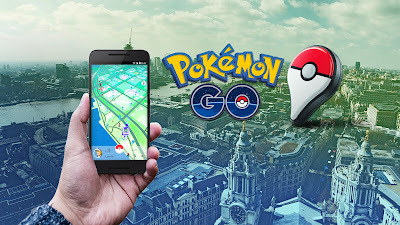 Pokémon Go is Niantic’s free-to-play location-based, augmented reality game developed for iOS and Android devices which released in most regions of the world in July 2016. The new game lets your inner 90’s self, roam the streets with your smartphone to capture, train, battle and trade your favorite Pokémon. What makes this game different from the traditional ones is its reliance on your GPS position in the real world to find catchable Pokémon. So, if there’s a ‘Squirtle’ – one of the Pokémon’s in your neighbor’s backyard, you’ll need to trespass to get it, which is fairly illegal last time we checked. How the PokéMania is taking over? As of July 8, the augmented reality smartphone game has been downloaded on more than 5 percent of all the Android phones in America — more than Tinder, according to the website-analysis company SimilarWeb. Three percent of all American Android users play the game daily. Pokémon Go’s popularity might seem puzzling to those not struck with the urge to catch ‘em all yet. But perhaps we shouldn’t be surprised. Numerous hints about augmented reality’s potential appeal have appeared in research literatures over the past few years. Augmented reality shows users a video feed of the real world with text and images superimposed on top of the feed on their smartphone or other smart devices. In Pokémon Go, players see cute Pokémon animals apparently hanging out in their bedrooms, on sidewalks, and at local parks. As much fun the game may sound to be, it has come amidst dark clouds of speculation over the risks it carries. Besides jolting technical issues like draining the battery life and exhausting the cellular data of your phone, a lot of privacy concerns have already been reported across the world by the users, which the makers of the app have shunned stating that the effect of Pokémon Go on consumer privacy has been overhyped. People’s worry, however, over the collection of their personal information still remains. Not only this, there has been a spike in the crime incidents caused due to the game across the world. Multiple police departments in various countries have issued warnings, some tongue-in-cheek, regarding inattentive driving, trespassing, and being targeted by criminals due to being unaware of one's surroundings. So, all the budding Pokémon trainers out there - remember it’s always better to look up, away from your smartphone and then cross the roads. Stay safe and catch ‘em all!